The Abingdon Old Testament Commentaries provide compact, critical commentaries on the books of the Old Testament for the use of theological students and pastors. The commentaries are also useful for upper-level college or university students and for those responsible for teaching in congregational settings. In addition to providing basic information and insights into the Old Testament writings, these commentaries exemplify the tasks and procedures of careful interpretation, to assist students of the Old Testament in coming to an informed and critical engagement with the biblical texts themselves. From the book, " The effects of the Judean refugees' trauma would be far reaching. Certainly an individual named Ezekiel might have experienced persistent reactions to trauma for the length of time covered by the book. Moreover, the experience and effects of exile were not limited to Ezekiel, nor even to his generation. The book's existence attests that others in the exilic community, and beyond, found their experiences reflected in its words." 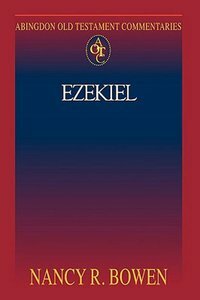 About "Ezekiel (Abingdon Old Testament Commentaries Series)"